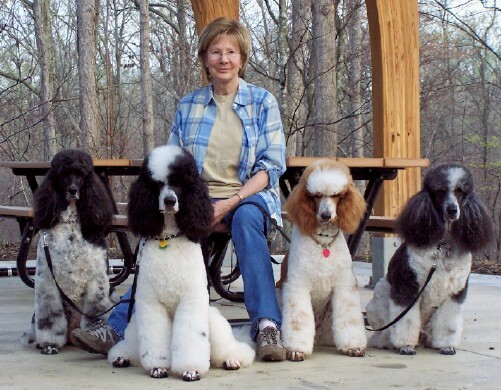 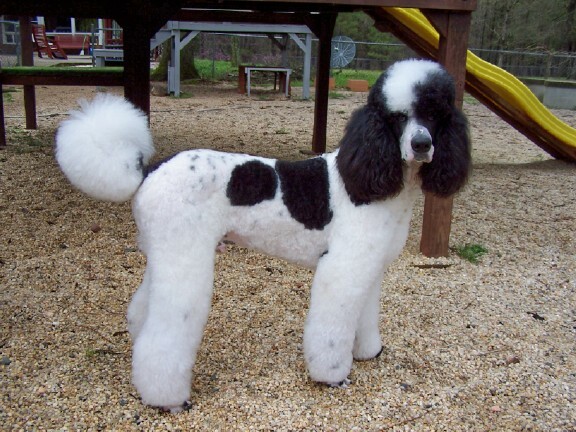 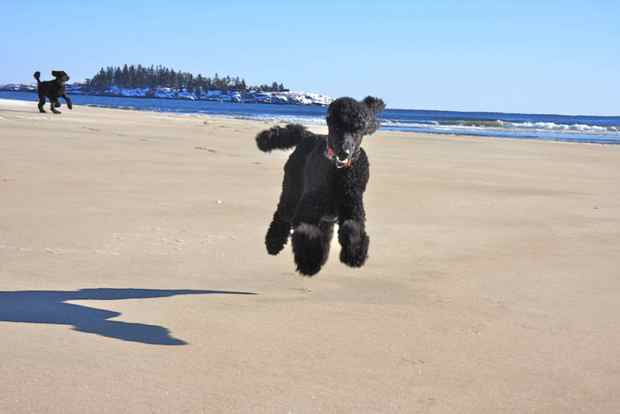 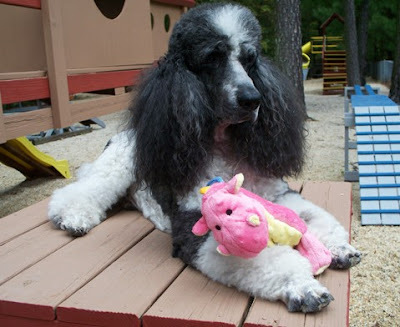 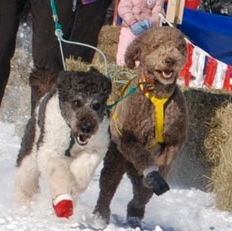 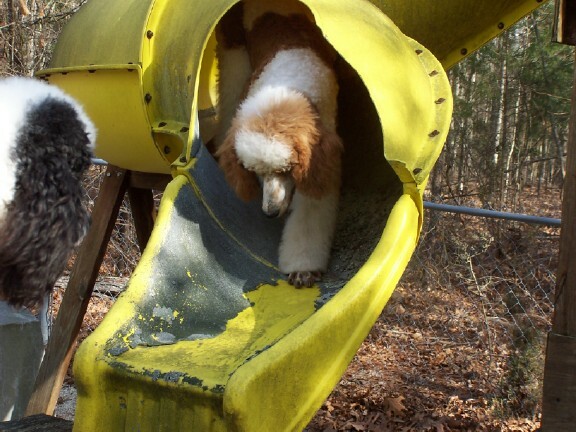 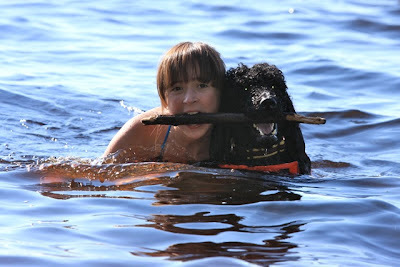 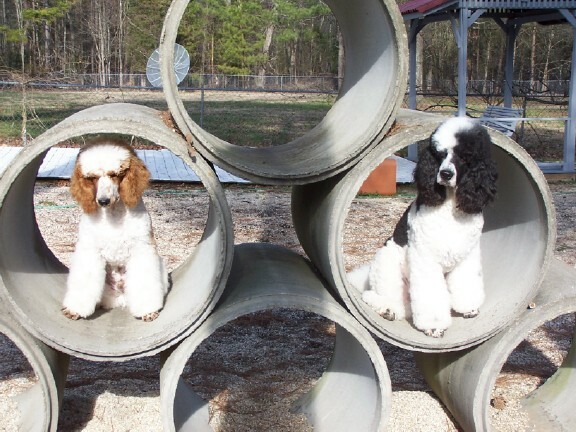 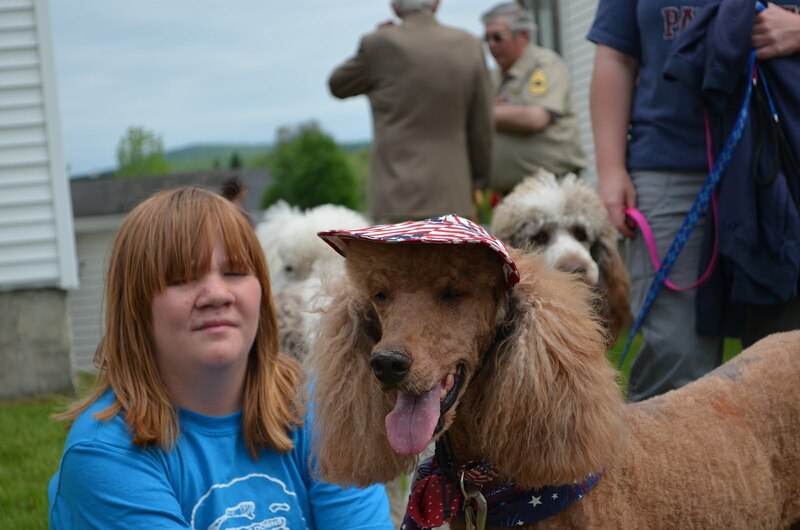 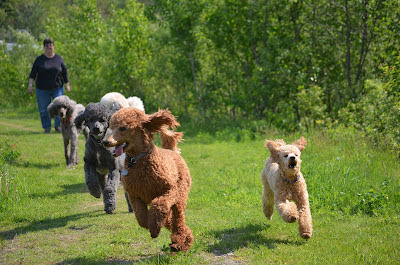 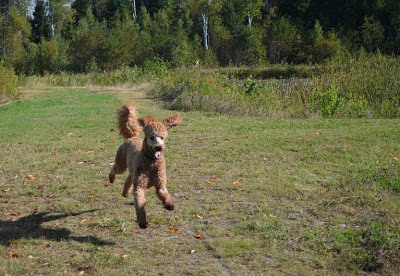 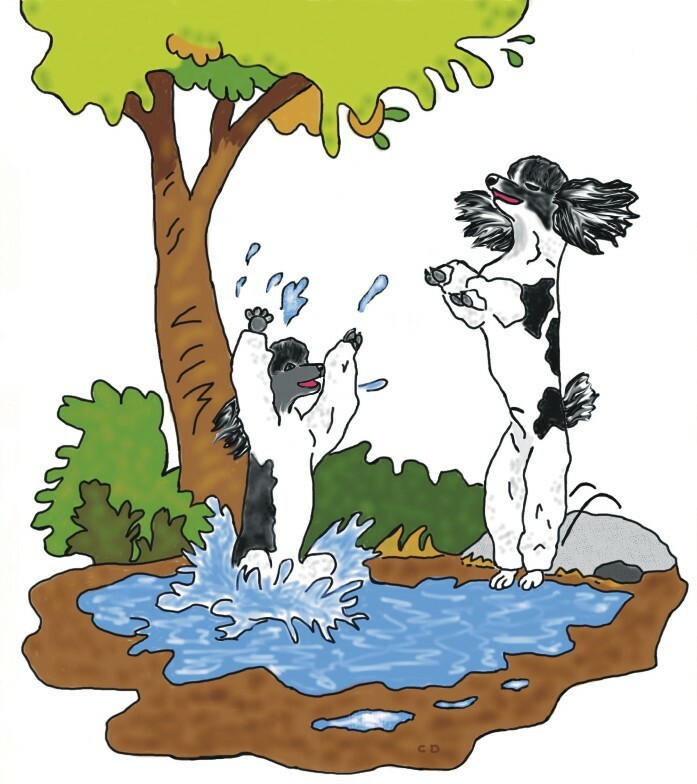 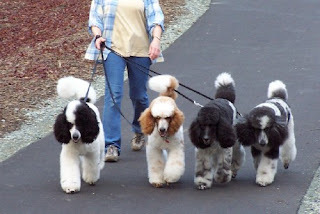 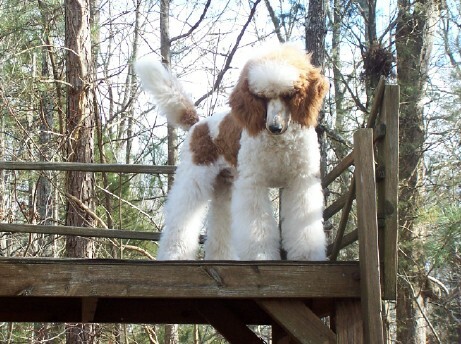 The New Hampshire "Poodle Mountain party" is this weekend--have fun guys! 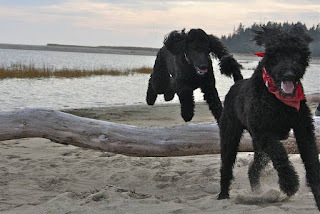 Many thanks to Rick Miles for sharing this photo of some Crabapple Downs Poodles running on Poodle mountain in the past. 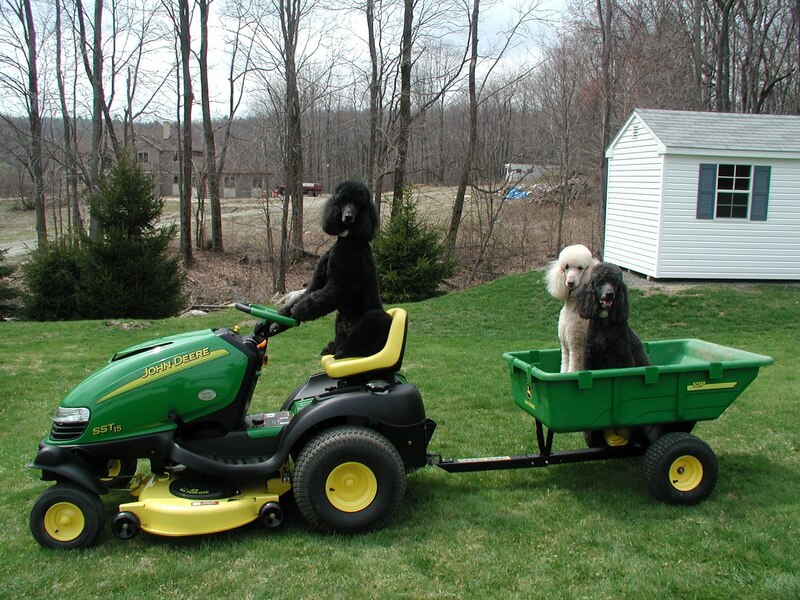 This is about it guys, re the photo caption contest. 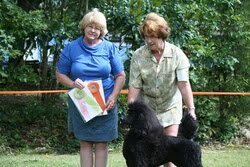 So get your entries in, as a winner will be chosen next week! Each comment or caption you post will count as one entry, then alll will be put in a hat and the winner will receive a $30 Amazon gift certificate! 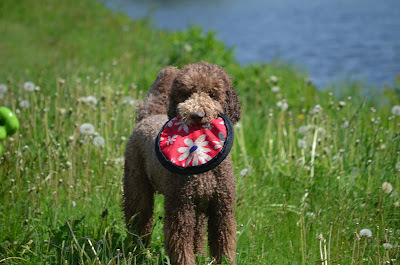 Although of course i enjoy getting sample products, I am so picky that few of them actually are written about on my blogs. For example, some nice folks sent samples of "Poodle shampoo" recently. 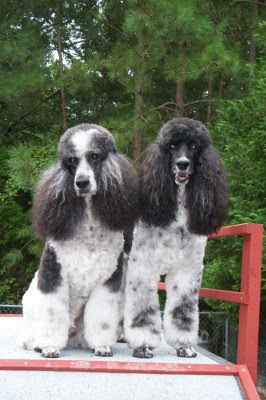 But since it did not lather well and did not make the dogs' coats shine, you won't be reading about it here! But...this week the peanut butter/applesauce variety of the all-natural, healthy Bistro Bites treats arrived and I am thrilled to tell you all about them! 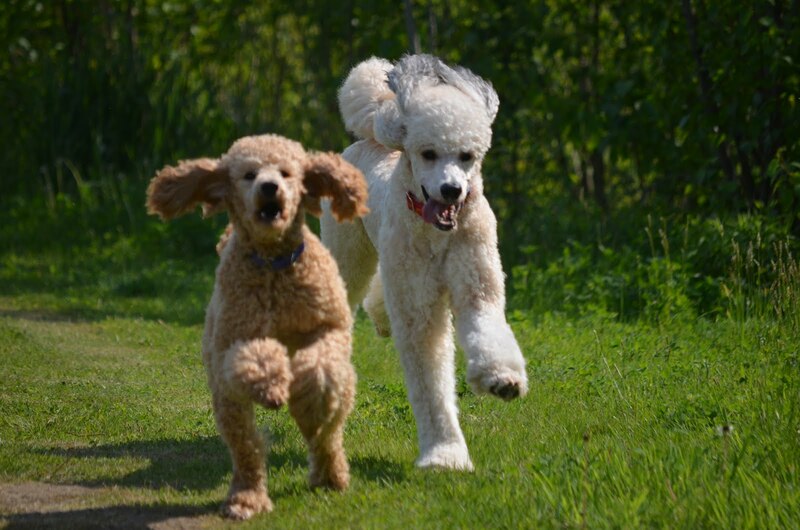 Your Poodle will LOVE these treats, and you will love the company which makes them in such a healthy fashion that they are perfect for small dogs, or larger dogs which need tiny treats to keep their weight down. 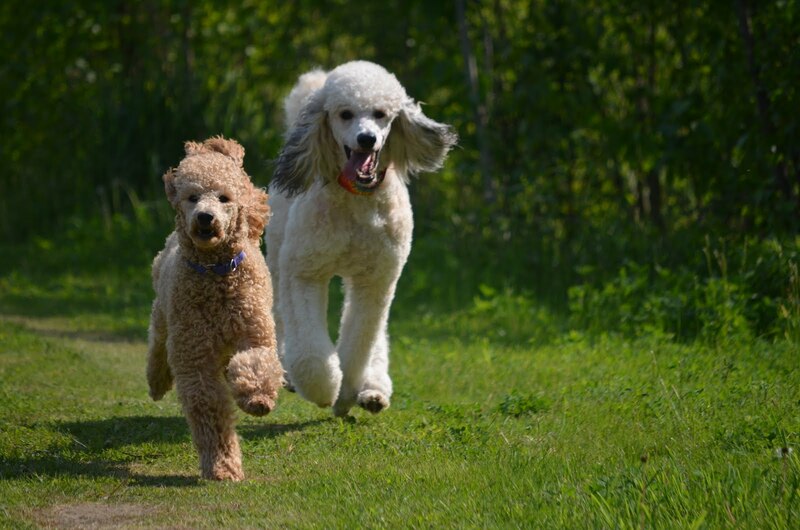 "So many dogs are suffering from severe obesity because the treats they're eating are simply too big" said Valerie Perlowitz, CEO and founder of Bistro Bites. 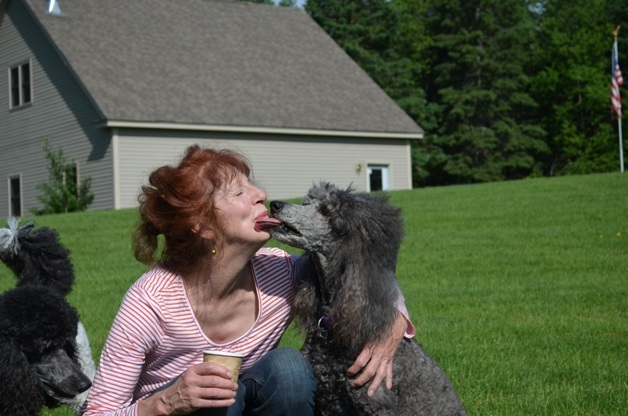 "I wanted a product that was designed to meet the nutritional needs of small dogs, not just a broken up treat created for a larger dog. By making sure the treats are all-natural and made from wholessome ingredients, we've created right sized treats owners can give their dogs without feeling guilty." 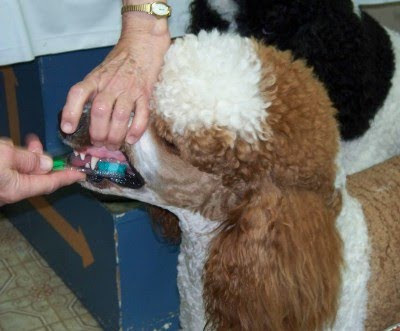 Bistro Bites are gluten-free and do not have any added sugars or salt, reducing the number of potential allergens (which is great news for Poodles!) Free of preservatives and fillers, each treat is high in both protein and fiber in order to create a healthy indulgence for dogs. 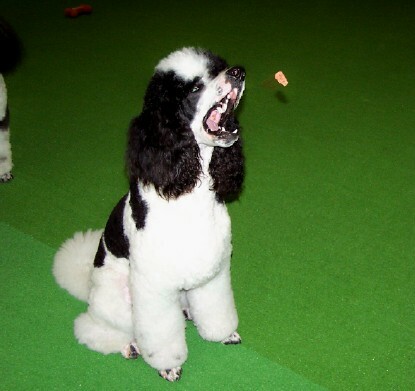 As a dog trainer, I am constantly searching for very small treats to use for training. 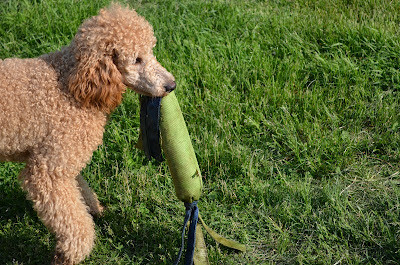 These treats are specifically designed to be perfect for training because in addition to being very small, they are also not crumbly, perfect for your pocket. 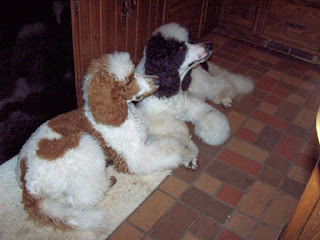 Bistro Bites come in two sizes: small, for dogs less than ten pounds, and medium, for dogs between 11 and 20 pounds. 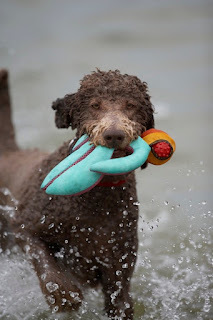 However, the medium size is a perfect "tiny bite" training treat for my Standard Poodle and even my sister's Lab that is currently visiting with us. 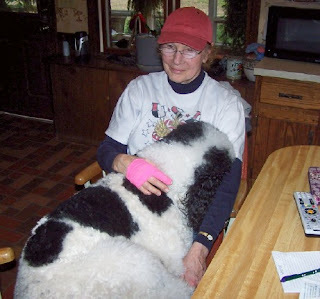 Our elderly Dachie is thrilled that she can have several of the small size treats at a time, instead of just half a cookie like she usually gets (since due to her age and breed, we have to watch her weight closely). 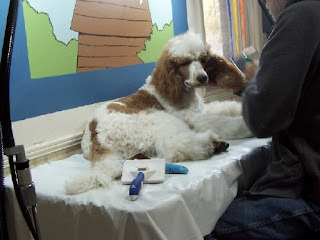 and at Uptown Pet Bistro and Boutique in Fairfax, Virginia. 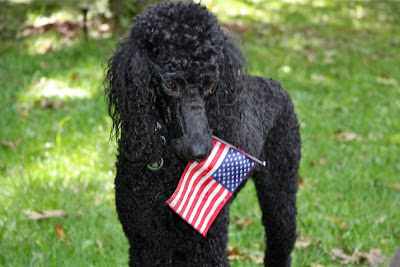 They are made in the United States and crafted on a made-to-order basis with ingredients sourced from local farms whenever possible. What more could you ask for in a healthy small dog treat? Bistro Bites come in 5 flavors chicken livers, berries & almonds, peanut butter & carob and sweet potato and vegetable. 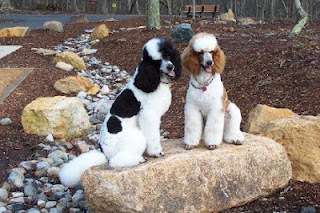 My vegetarian friends will love knowing that some of the varieties are meat-free--for example, the Bistro Bites samples my dogs are enjoying are the Peanut Butter & Applesauce variety. 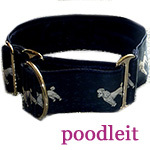 The ingredients listed are simply applesauce, peanut butter and buckwheat flour. 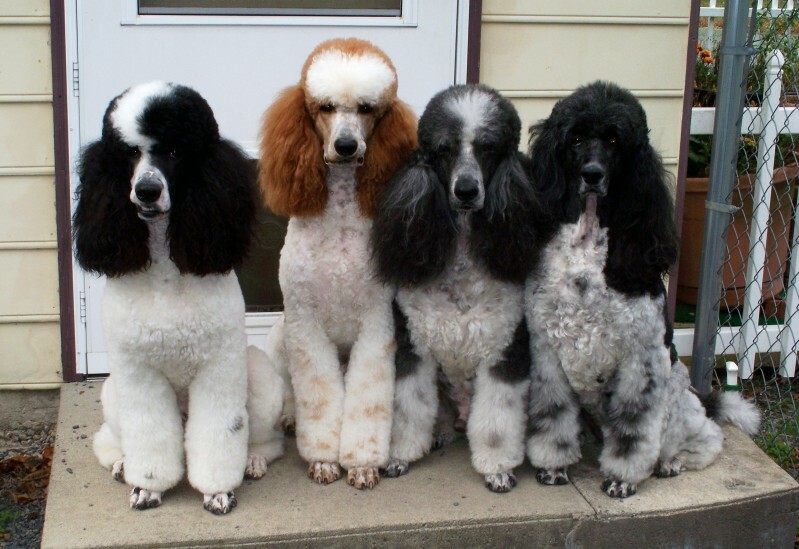 All varieties are grain, oil and gluten-free! They also offer several seasonal flavors, including pumpkin treats in the fall. 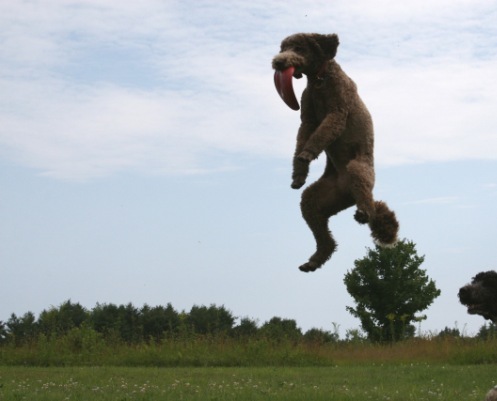 If you give them a try, leave a comment or send us a photo of your dog and let us know what they think about Bisto Bites. They smell so good, I am tempted to try them myself! 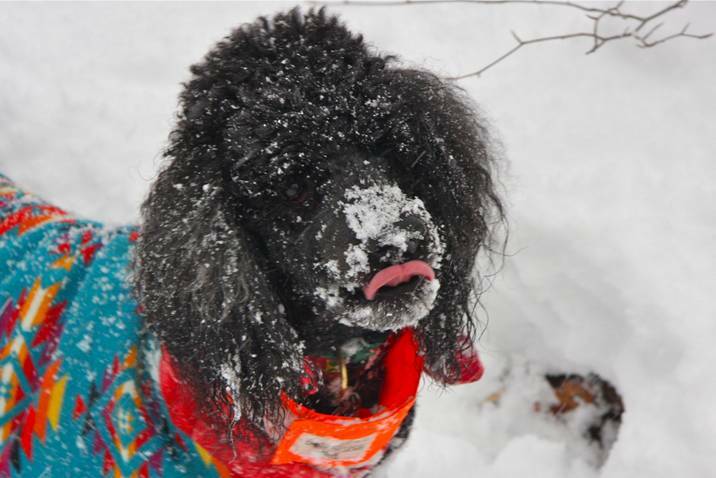 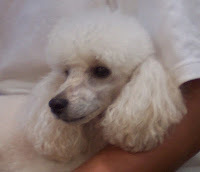 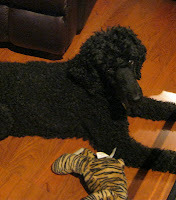 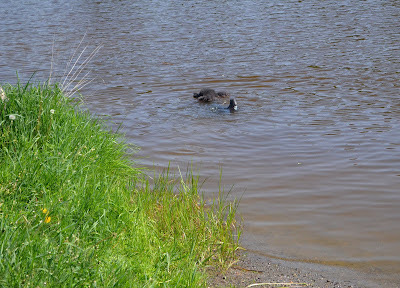 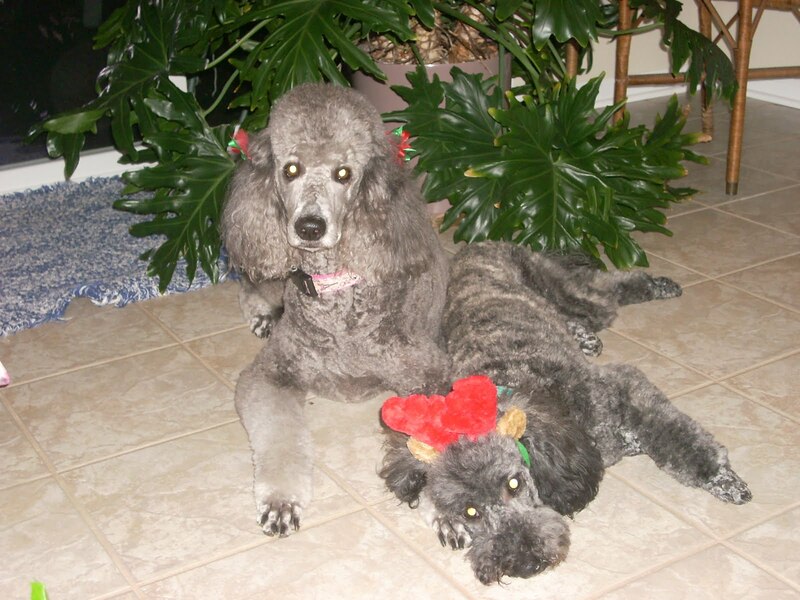 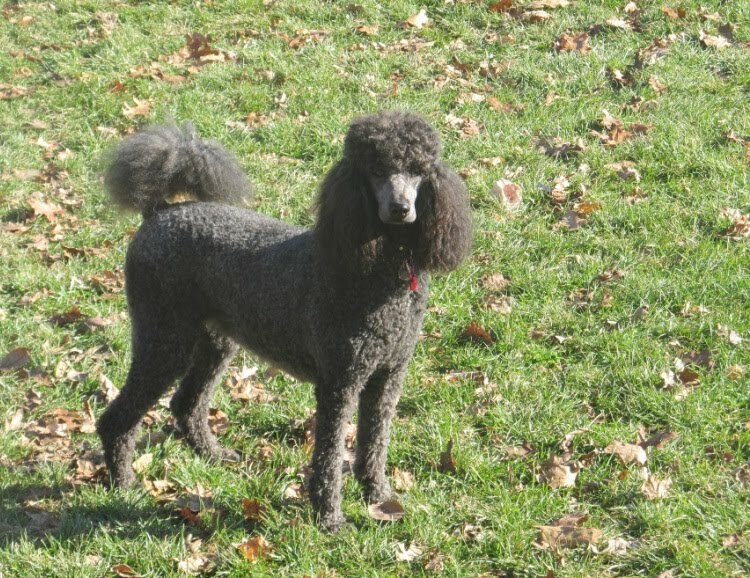 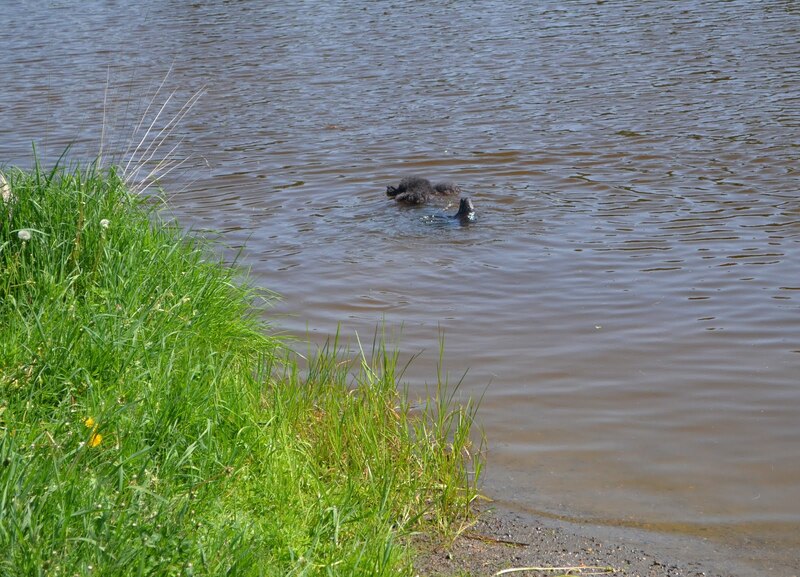 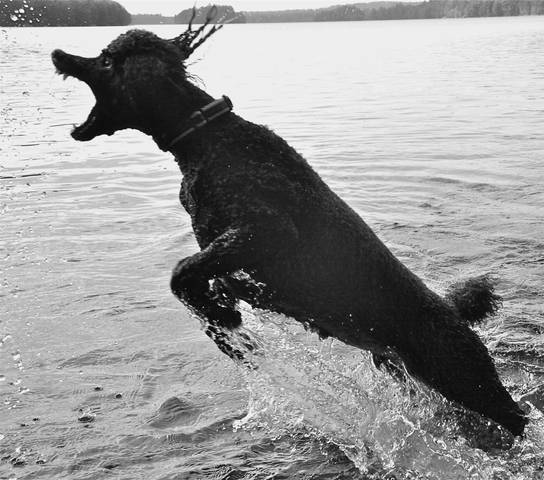 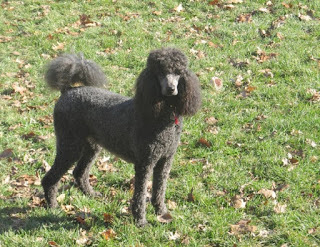 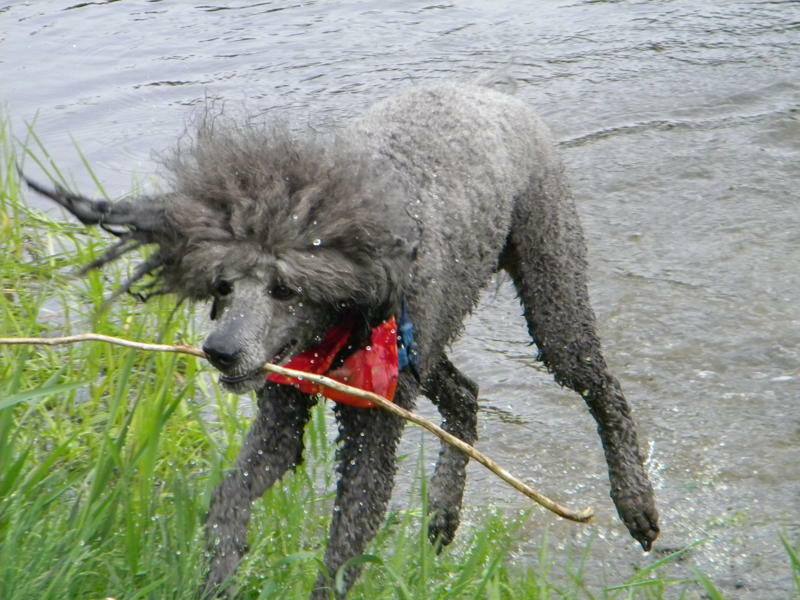 by guest blogger Melanie Schlaginhaufen, photo of Melanie's miniature Poodle "Nini" is copyrighted and may not be reproduced without permission. 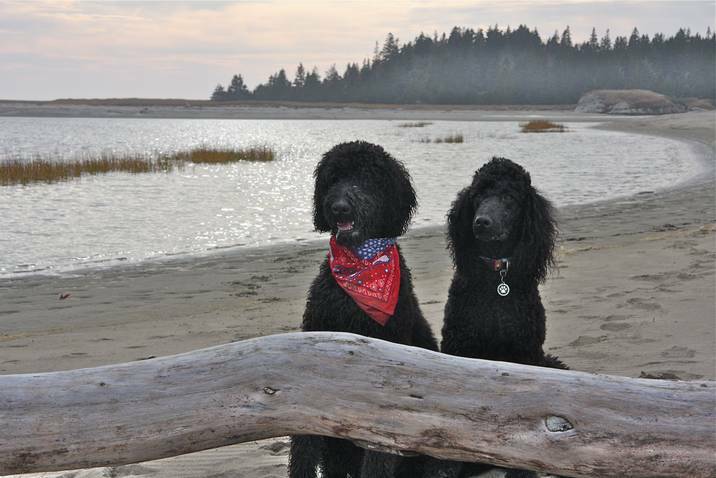 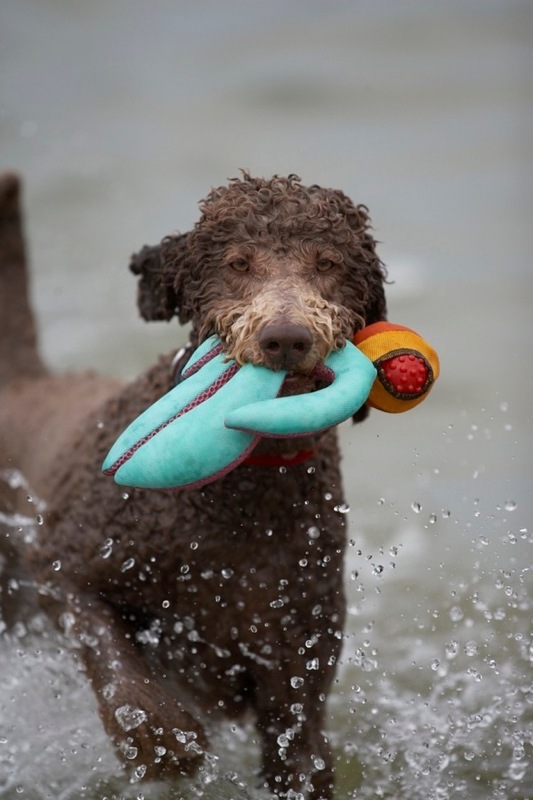 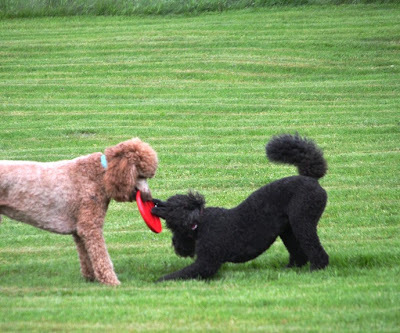 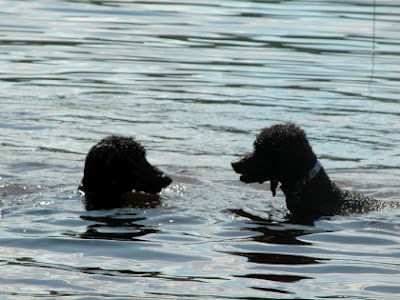 My gorgeous parti Poodle boyfriends Scotty and Joey continue to send me their journal and I know you will LOVE seeing their photos and hearing the latest! 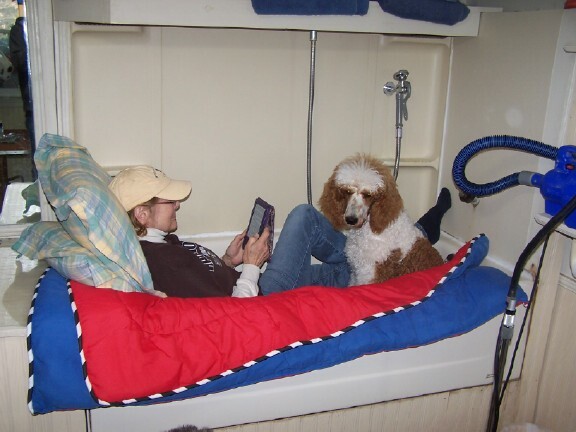 Here is a note from Scotty, back from March 19. For more recent updates, please see the boy's personal website, which is always so much fun! We've had really warm weather here - mid 80s in the daytime so we get up early and get all our activities done in the morning and then we dogs sleep in the afternoon. 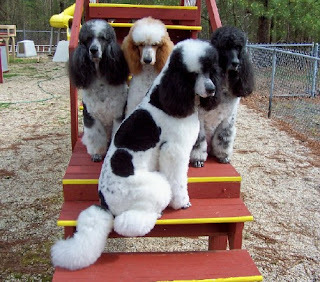 This weekend, we all had baths - nice looking bunch, huh? 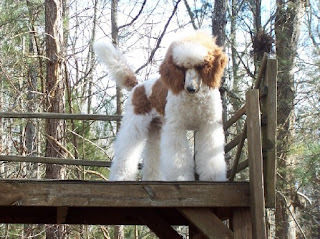 Here's Joey -- Mom says he has TONS of hair because it is SO thick and plush. This morning we went for a walk in the park down from our house.. 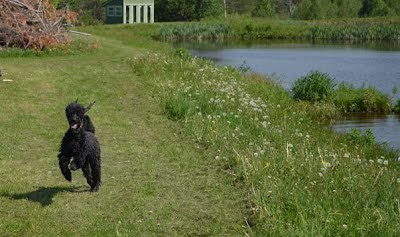 Here's Joey and me at the end or our walk - see how big I'm getting! 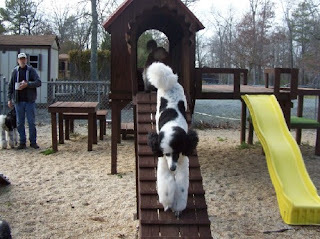 I sent Aunt Mellie lots of photos of us training and playing, we are learning so many new things! Be sure to visit our website to see more. 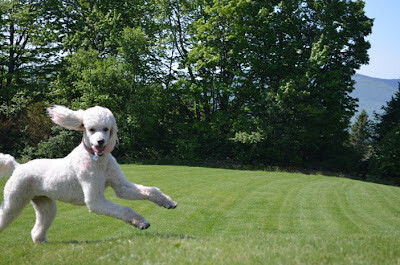 Aunt Mellie wanted to make sure you saw this fun photo taken of Joey when we all practiced catch. 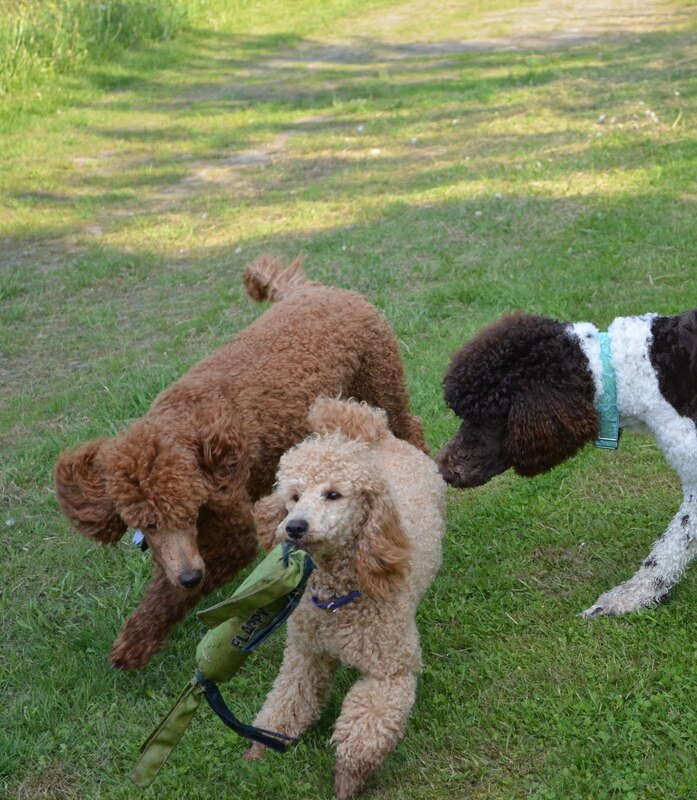 We sat in a group and Dad tossed us cookies, what fun!